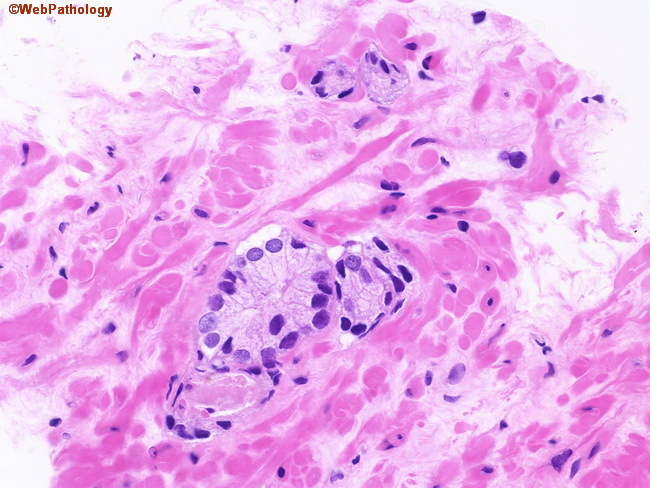 This atypical focus consists of 5 glands at the end of a core. The glands have enlarged nuclei and amphophilic cytoplasm. Prominent nucleoli are not present. Although the overall findings are highly suspicious for cancer, a definitive diagnosis of malignancy was not rendered due to the limited size of the focus.